Product prices and availability are accurate as of 2019-03-05 04:26:15 EST and are subject to change. Any price and availability information displayed on http://www.amazon.com/ at the time of purchase will apply to the purchase of this product. Quite possibly the coolest string lights you've ever seen. Meilo patented LED technology lets you say goodbye to unattractive metal based bulbs and hello to a 360° shine angle. 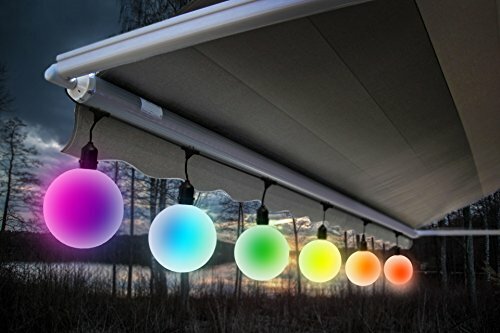 Choose from several different colors and light shows to create the perfect lighting environment for every season. 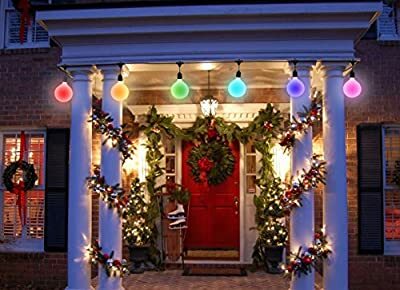 Select a nice red, white, and blue fade for 4th of July, orange for Halloween, or strobe through all colors for the perfect Christmas light show. The LED bulbs are shatter resistant and last many years longer than incandescent bulbs. Each string light can be connected to additional string lights for expansion up to 3 sets. Just sit back and enjoy the show.